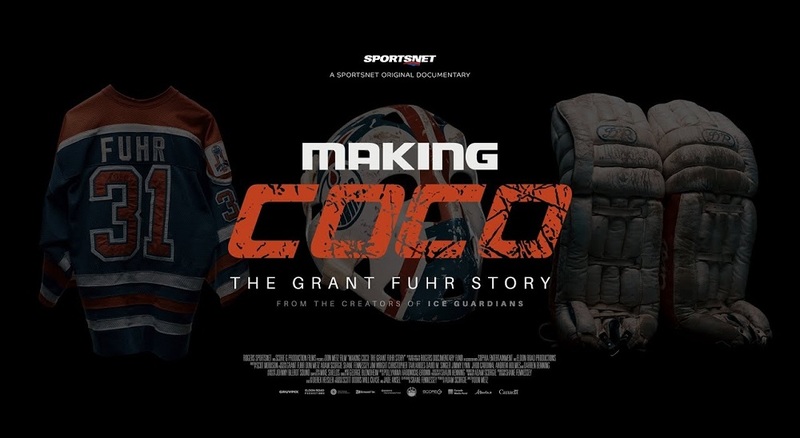 Wayne Gretzky calls him the greatest goalie of all time and now Don Metz directs this captivating cinematic chronicle on one of the most celebrated, yet enigmatic goalies in the history of the NHL; Grant Fuhr. 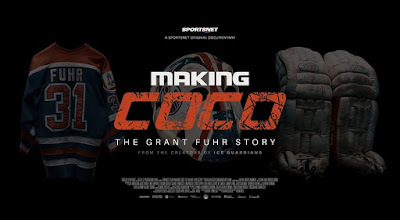 Barely 19, Grant ‘Coco’ Fuhr became starting goalie for the most exciting team in NHL history. In his mid-30’s, he played 76 consecutive and 79 total games in an 82-game season to set two league records, then followed that ironman performance by playing 73 the following season on a completely rebuilt knee. During the decade and a half between, he employed his acrobatic style and cat-like reflexes to backstop five Stanley Cup champions and two Canada Cup winners, cementing a reputation as the ultimate “money goalie”. He also got himself demoted to the minors for calling the hometown fans jerks, announced his retirement at the age of 26 in an attempt to force a famously hard-nosed general manager to renegotiate a long-term contract, and was suspended for an entire NHL season for conduct deemed “dishonorable and against the welfare of the league” for substance use, only to return and redeem himself as one of the game’s true greats.